Photoperiod plays a role in the regulation of reproduction in many fish. We examined the effectiveness of the long-afterglow phosphorescent pigment LumiNova on the reproductive performance of the sapphire devil Chrysiptera cyanea, a tropical damselfish that reproduces under long-day conditions. During the breeding season, the experimental fish, but not the control fish, were reared in aquaria covered with LumiNova sheets for 75 days under natural photoperiod and temperature. At days 60 and 75 after onset of the experiment, the gonadosomatic index of experimental fish was higher than that of control fish. Histological observations at 60 and 75 days revealed that the ovaries of experimental fish contained large oocytes laden with yolk, whereas the control fish had few yolky oocytes at 60 days and mostly immature oocytes at 75 days. Spawning occurred repeatedly in experimental fish, but not in control fish, throughout the study period. Because LumiNova sheets continue to emit green light for some time after sunset, the extended light conditions probably contributed to active reproduction in experimental fish. 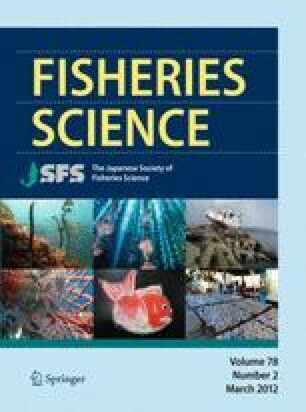 In conclusion, long-afterglow phosphorescent pigment can be used for energy-efficient aquaculture to regulate the reproduction of fish, although its effect needs to be evaluated in different species. This study was supported in part by a Grant-in-Aid for Scientific Research from the Japan Society for the Promotion of Science (JSPS) to AT.